This 11" John Deere tractor is built tough for sandbox and outdoor play. 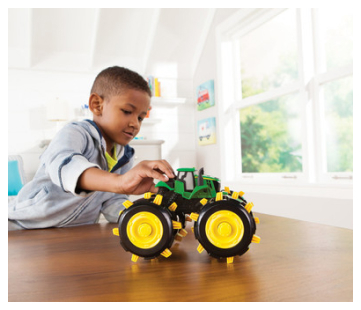 Plastic construction is perfect for younger John Deere fans. Features die-cast hood, steerable front axle and rear hitch.